Tam was one of the people I meet at Pubcon London yesterday. Pubcon was full of large companies however it also had its little ones too. 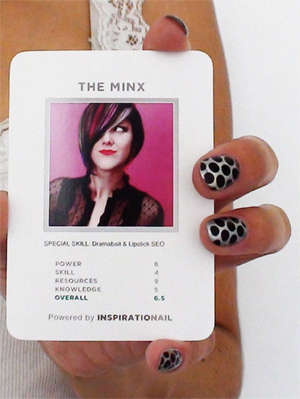 Tam runs a small niche site providing nail printing, nail parties and providing nail accessories. One of the great things about a comparatively small networking group of people with a quite focused interest is that it provides an opportunity for someone like Tam to meet some of the top people in SEO in a friendly and non intimidating environment. When I spoke to her she had gained a lot by attending it. If you have a business and a thinking of going to Pubcon next year I would it is well worth it no matter what size you are. Although those knocking her size should be careful. It was great to meet you too. I look forward to watching your Nail Printing business grow! It was good to meet you, Tam. I loved the nails! I look forward to seeing you at one of your US events. Murray – Thanks for the support, lots more coming- this is only the beginning.